Interior Concepts is an interior selection center where clients can find expert guidance as well as an excellent selection of interior finishes. 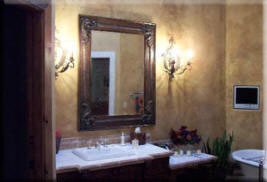 Interior Concepts works primarily with general contractors, designers, and architects. Therefore, we highly recommend an appointment so we may devote our full time and attention to your project. Since 1985, Interior Concepts has provided Arizona with an interior selection center where clients can find expert guidance, as well as an excellent selection of interior finishes.